Treatment of River Blindness could be cut from 15 years to one year, a top Ugandan scientist who co-founded a drug that treats the disease said on Monday. Amos Nyathirombo, who led 17 other doctors in four African countries to find Moxidectin, told Xinhua in an interview on Monday that studies have showed that 40 percent of the patients who took it tested negative to the sickness after one year. The scientist who resigned his job about 10 years ago to concentrate on the research said Moxidectin has been found to be more suppressive and effective. Following this breakthrough study financed by the World Health Organization (WHO), World Bank, United Nations Children’s Fund and the United Nations Development Programme, the American Food and Drug Authority has approved the drug, after a seven-year long wait. The research, which was carried out in Uganda, the Democratic Republic of Congo, Liberia and Ghana, found that Moxidectin, previously a veterinary medicine, was more effective in treating River Blindness than Ivermectin which is in common use. Nyathirombo said Moxidectin killed the River Blindness worms in the eyes and skin faster in humans. WHO has been engaged in the distribution of Ivermectin to vulnerable countries. “The problem with Ivermectin is that it has to be taken twice in a year for 15 years. This is because it only kills the young worms only,” Nyathirombo said. Within the human body, the adult female worm (macrofilaria) produces thousands of baby or larval worms (microfilariae) which migrate in the skin and the eye. WHO figures show that about 90 percent of the disease occurs in Africa. Other cases are found in Latin America and in Yemen. In Uganda, about 3.5 million people have been affected by the disease, according to Centre for Disease Control. Experts say the influx of refugees from South Sudan into the country has also kept the disease spreading in areas where they are hosted. 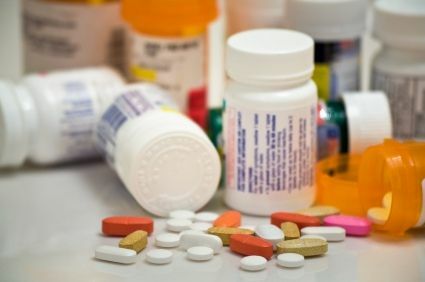 “There has been mass drug distribution in Uganda’s Acholi region but the disease is still rampant due to the long time span that patients take to recover completely,” said Nyathirombo. He said Moxidectin may be the answer to the long treatment period of the disease. “It is now up to WHO to get money and develop the drug further for commercial production,” Nyathirombo said. He asked the government to increase funding for researchers so as to encourage innovation in the country. “We have the capacity to carry out research to treat diseases affecting Africans. We need to encourage local solutions for local ailments,” Nyathirombo said. Ronald Tusiime, a physician in Kabarole district, western Uganda, said onchocerciasis was a common problem and major cause of blindness. “This will help patients who have challenges of swallowing the current medication that requires long duration of treatment. It also offers patients an option to Ivermectin,” Tusiime told Xinhua on Monday. Previous articleKwesi Nyantakyi response to Anas exposé #Number 12 LEAKED!